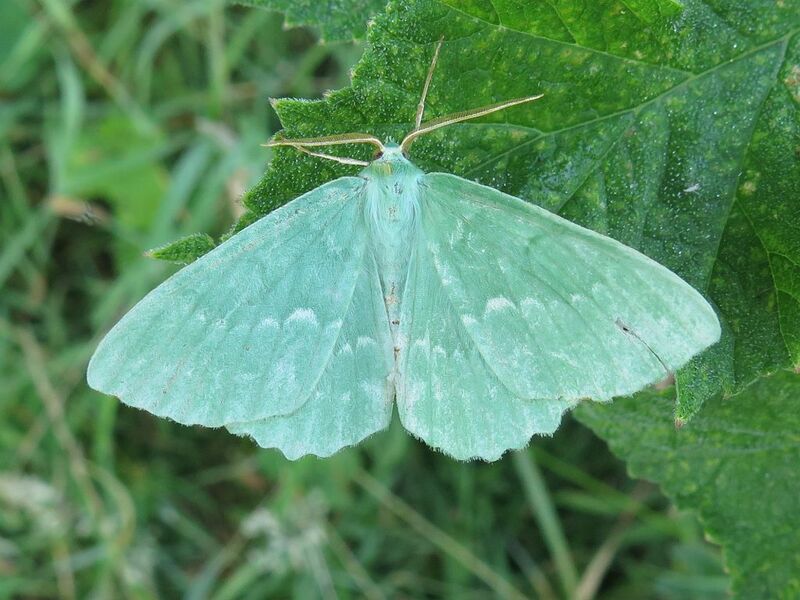 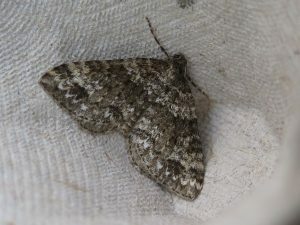 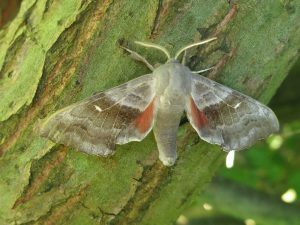 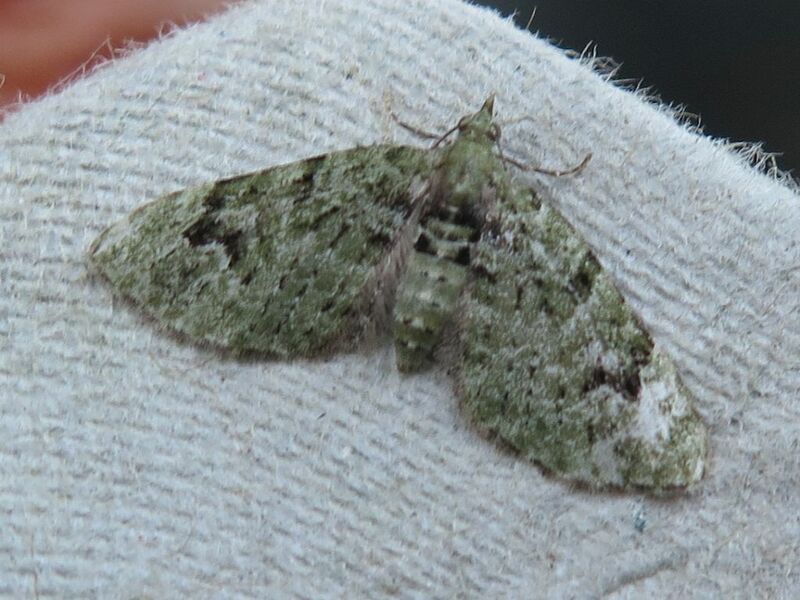 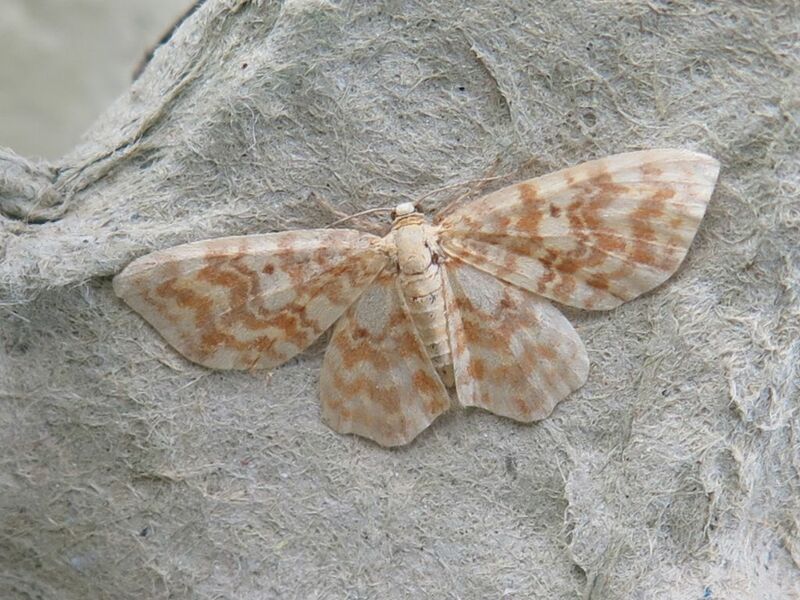 Two moth traps were set up on the night of 14th July and emptied the following morning. The usual 8W actinic Heath trap was set up near the hide and yielded 36 species and a total of 124 moths. A homemade trap using 6W and 9W LED UV strips was set up near the Bottom Pond and yielded 31 species and a total of 100 moths. 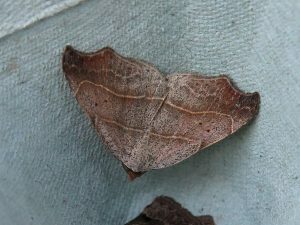 Overall there were 46 different species of moth of which 6 were new records for the site (shown in bold): Beautiful Hook-tip, Brimstone Moth, Brown China-mark, Buff Footman, Chequered Straw, Clay, Clouded Border, Common Carpet, Common Footman, Common Marble, Common Rustic agg., Common White Wave, Dingy Footman, Dotted Clay, Double Square-spot, Early Thorn, Engrailed, Fan-foot, Grey Knot-horn, Hoary Bell, July Highflyer, Large Emerald, Large Yellow Underwing, Latticed Heath, Mother of Pearl, Mottled Rustic, Muslin Footman, Pale Straw Pearl, Poplar Hawk-moth, Red/Dark-barred Twin-spot Carpet agg., Riband Wave, Ruby Tiger, Scalloped Oak, Shaded Broad-bar, Short-cloaked Moth, Slender Brindle, Small Fan-footed Wave, Small Magpie, Small Rivulet, Small Yellow Wave, Smoky Wainscot, Snout, Straw Dot, Twin-spot Carpet, Uncertain, V-Pug. 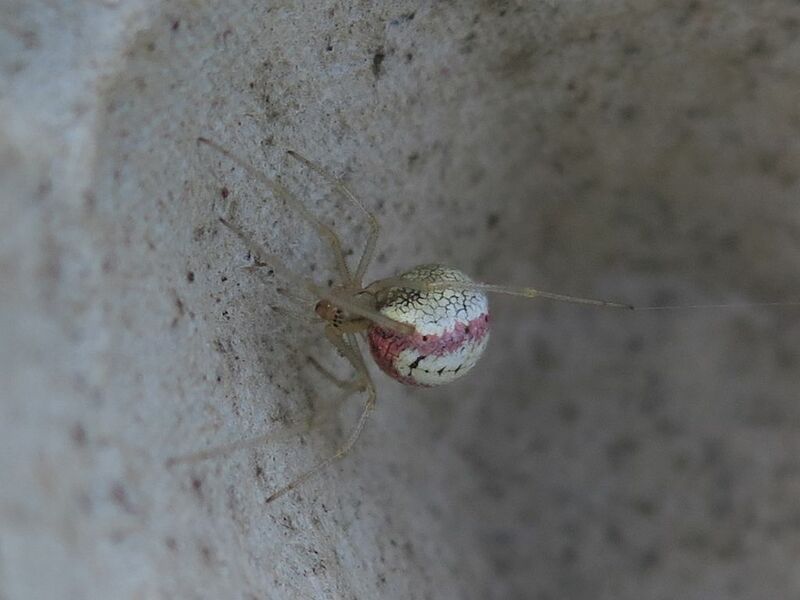 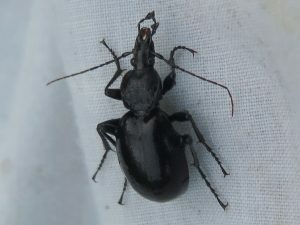 Also in the traps were: a Snail Hunter Beetle (Cychrus caraboides), a Candy-Striped Spider (Enoplognatha sp. 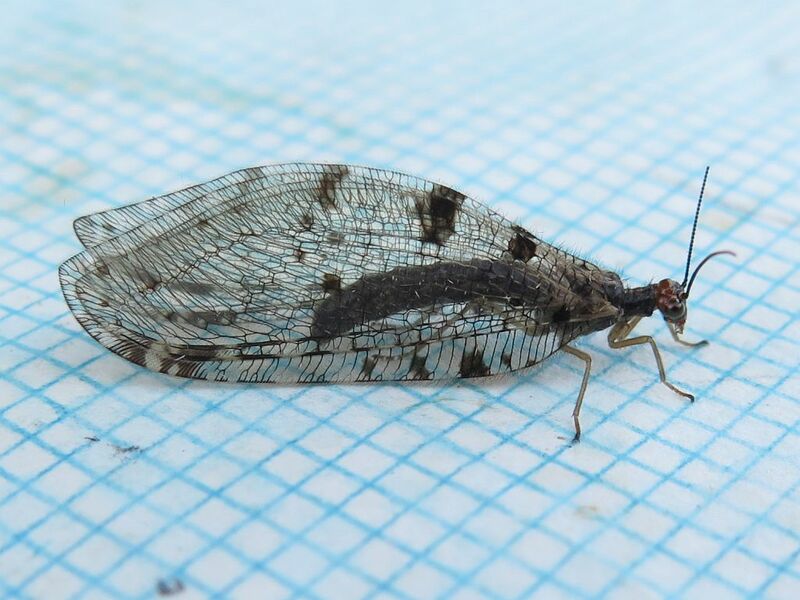 ), and a Giant Lacewing (Osmylus fulvicephalus). All new site records.